Lisa Goldman is one of the riders in the hunt for a series award in the 1.30m Grand Prix Series presented by Marshall & Sterling. Photo Chicago Equestrian. Wayne, IL – September 6, 2016 – Showplace Productions and Show Manager Patrick Boyle have planned the biggest ever Showplace Fall Classic Championship Horse Show, September 13-18, 2016, taking place at Lamplight Equestrian Center for the final time since it will be hosted at Hits Balmoral Park in Crete, Illinois in 2017. The premier Midwest horse show is the USHJA Zone V Championship Horse Show and also holds the Illinois Hunter Jumper Association (IHJA) “A” Medal Finals, the Marshall & Sterling Midwest Finals and the $150,000 Marshall & Sterling 1.30m Grand Prix Series. The popular Grand Prix series began in May and will conclude at this championship week with a $10,000 Showplace Leading Horse & Rider Bonus. The Leading Trainer in the series will receive a $5,000 gift voucher from Devoucoux and the Leading Rider receives a CWD Saddle. The 1.30m Grand Prixs were not only a hit with professionals and young horses but also for young riders stepping into the prixs from junior and amateur jumper divisions. Gia Gulino won the M&S Junior Medal Finals in 2015. Photo Chicago Equestrian. The championship week will feature the Marshall & Sterling Midwest Championships, which include the $1,000 Children’s Hunter Championship, the $1,000 Adult Hunter Championship, the M&S Junior Medal Finals, the M&S Adult Medal Finals, the M&S Children’s Pony Medal Finals and the M&S Junior/Amateur Horsemanship Medal Finals. Jumper riders can compete in the $5,000 M&S Children’s/Adult Jumper Finals as part of the Midwest M&S Championships. 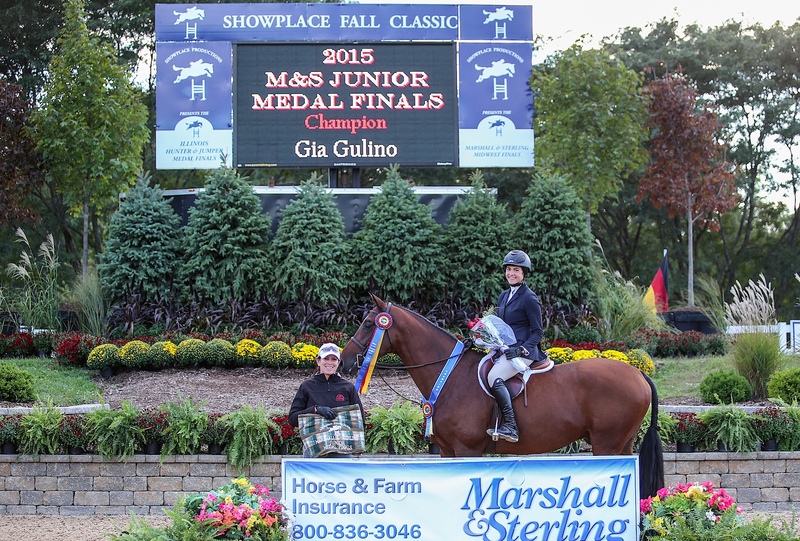 Gia Rinaldi won the IHJA Junior Medal Finals in 2015. Photo Chicago Equestrian. The Showplace Fall Championship Show includes a complete list of full divisions and classes along with a $10,000 Open Welcome Stake on Wednesday, the $15,000 1.30m Grand Prix and a $2,500 USHJA National Hunter Derby sponsored by Sapphire Riding Academy on Thursday with the $25,000 Grand Prix taking place on Saturday . As always, the week includes over the top hospitality with VIP tables overlooking the action of the Grand Prix ring with delicious breakfast, lunches and dinners included. Exhibitors are also treated like royalty with several exhibitor parties, sushi and Jersey Mike’s sub sandwiches throughout the week. 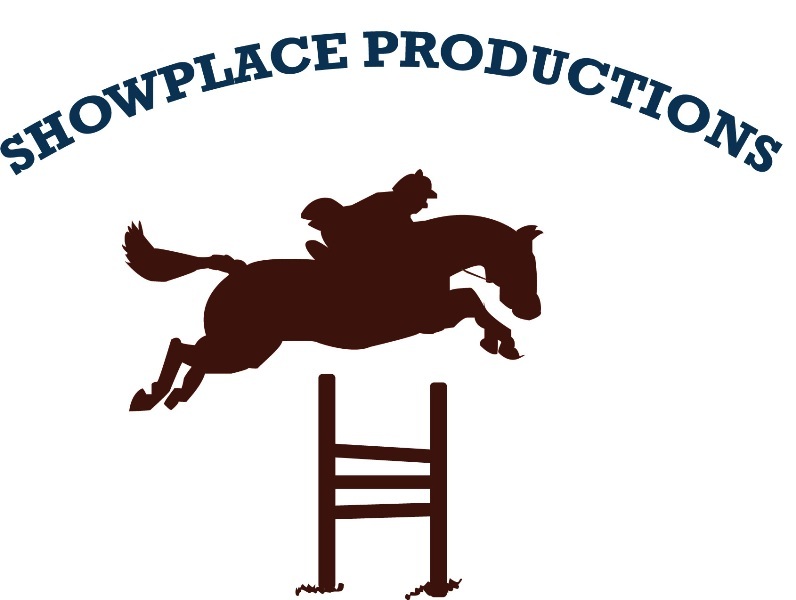 Contact Showplace Productions to reserve your VIP table and enjoy another fantastic horse show by Showplace Productions. Continue on to the Showplace Fall Finale at Ledges Sporting Horses September 22-25, 2016. For prize lists and schedules, visit www.showplaceproductions.com. For VIP tables, email showsno1@aol.com.